Ever heard of digital marketing? What about affiliate programs? 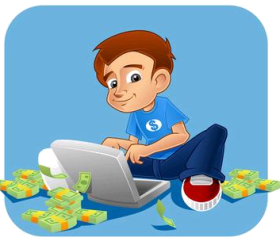 If you have, then you already know how this is one way of making money online – a lucrative one at that. However, not everyone has a proper understanding of what it actually is. To help you with that, here’s a breakdown of all the information that you need to know to get started. Affiliate marketing is a time-tested and proven method to earn your income on the internet. 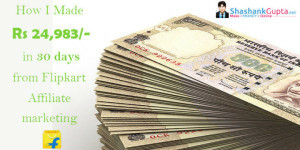 It is one of the easiest methods for beginners to start making money online. The best thing about it is that you don’t need products or services to sell and earn profit. All you need to do is sign up with a legitimate affiliate marketing program, fulfill any requirements that they might have and get started. The process is easy and the qualifications for getting started are simple, but it does differ from one program to another, so make sure to do your research thoroughly. At its most basic, an affiliate program will require you to promote products and services on your website or blog. 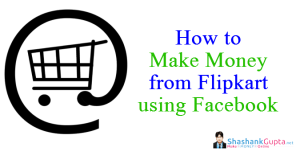 This is possible through various means including product reviews and blog posts. If you have access to the product itself then you can also create a tutorial on how to use it. The more creative you are, the better as this will only draw people’s interest to your page. Interest is IMPORTANT because this will encourage people to check out your affiliate’s products and perhaps, even be persuaded to purchase them. For every conversion you manage, you will earn a commission. How much depends on the program you have signed up with. Again, it varies so make sure you read through everything thoroughly. What kind of product or services do you want to market? It would be wise to pick a product that you can stand by and will personally use as well. This should make reviewing it much easier and more relatable to your target market. Always think of your target market and choose programs accordingly. If your target demographics are young girls in their late teens then find products that you know they will be interested in. Research is key here, so take time researching. Whilst there are many programs available, keep in mind that not all of them will be right for you. Choose wisely. DO: Veer away from the bandwagon and promote products or services that everyone else is promoting. Look for something that is unique and has great potential market demand. You can make more money with a program like this. It also helps if your affiliate program offers valuable tools. Some even provide you with the blog or website itself, which cuts down on the amount of things you need to prepare for. Limit your choices to programs that implement a solid pay structure with high commission or profit-sharing scheme. For instance, a program that empowers you to earn up to $700 per day legitimately is worth considering. Avoid getting blinded immediately by the attractive pay structure. 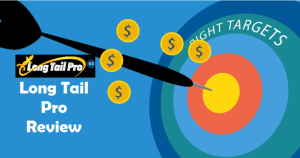 See to it that your affiliate partner can really deliver what it claims. Remember: Legitimate affiliate programs will provide you with clear details when it comes to what you can expect to earn and how you are going to make money from them. Look for affiliate partners who carry out strong affiliate support to increase the guarantee that you will earn your efforts. Website ? – Do you Need One for Affiliate Marketing ? Having your own website is imperative to digital marketing. Think of it as your storefront, the place where most of your business happen. Traffic is important so make sure that your website is constantly drawing people in and maintaining ties with loyal clients. It is through your website that you can build your subscriber list. This is composed of people who are genuinely interested in your content and are also likely to purchase the products you write about. You can do many things with your website to earn more income. Creating a strong internet presence is one. Fill your site with consumable and relevant content your traffic loves, and you will surely earn not just popularity but also authority. Soon, you will enjoy a steady good flow of traffic. With the right methods, you can build your passive income from it. Finding your niche is one of the first things you have to do, even before you publish your website. Get as specific as you possibly can with this. The more unique, the better it will be for you. For example, if you plan on marketing “soap” choose something with more focus. “Soap” by itself is a broad term and completely generic. However, if you choose something like: “organic whitening soap”, you boost your chances of becoming one of the top search results for that particular term. That said, keep things uncomplicated as well. The balance is hard to find, but once you do, it will certainly help improve the traffic you get. In distinguishing yourself from the rest of the affiliates, it helps to upload unique and valuable content. Make it entirely your own to capture your target audience. If you have materials that your traffic can’t find elsewhere, then you have a solid shield to protect your traffic base from competition. Your traffic becomes loyal to your website because they know you can provide exactly what they need and like. It is for this reason that you must be an authority on what you’re writing about. The more information you can share, the better your audience’s response will be. Keep in mind that your content also helps you stand out from other affiliates so if you’re planning on merely copying and recycling from other websites then you’ve already lost. Again, research is key. If you can write from experience, even better. Discard the “me-first” attitude. To become a successful affiliate marketer, put the interests of your traffic above your own, especially with your existing customers. It is tempting to focus on gaining more traffic, but it should not be at the expense of losing your existing customers. Nurture your relationship with your traffic, so you can continue earning your desired income. Treat your traffic as valued customers. Respect their time and attention by giving them only quality content and making their visit to your website worth it. Attend to their needs and no matter how trivial their queries are, make sure to deal with them with utmost professionalism and care. Your rewards will come in the form of sustainable and profitable income. One of the most important aspects of a successful marketing website is its ability to keep people coming back. Aside from producing great content, people are also interested in what you have to offer. Small incentives such as relevant eBooks or informative newsletter can be used to your great advantage for this purpose. Not only will it entice more people to sign up and be part of your subscription list, having these to look forward to will certainly make them come back for more. Of course, it is important to maintain the quality as even as possible throughout your website. Make sure to offer something new with these “bonuses”. The content should also be well-researched. Q – Are there any costs associated with affiliate programs? A – You don’t have to pay to sign up as an affiliate partner and promote a particular brand. In fact, you can sign up for as many programs as you want. The only real limit, of course, is your ability to do the work as efficiently as needed in order to make everything profitable. Q – How much can you receive in commission rates? A – Usually, these rates are based on a certain percentage of your total sales. There are also cases wherein it is given as a flat fee for any transaction you successfully provide your merchant with. Make sure to check with your merchant first and always read through any terms they might have regarding this. Policies tend to differ from one affiliate program to the next. Q – What are affiliate networks? A – Affiliate programs are run on networks that provide aid to individuals who are interested to join. These networks act as an intermediary between affiliates and merchants, providing both with the tools needed to make the process more efficient. Typically, these networks provide merchants with creative help (banners and links), a means of handling their reports and tracking, provide automatic payout of commissions and so on. To affiliates, they provide a single “marketplace” where they can scope out available programs that fall under the categories they are interested in. There are plenty of networks online, so make sure to choose reputable ones. Q – Will an affiliate have full control over what’s posted on their blog? A – The answer is yes. However, there are merchant terms and conditions that you must adhere to. This is why it’s important to read through their policies make sure you’re following the program properly. Another thing affiliates must take note of is the FTC disclosure statement. This means that you have to disclose your relationship with any chosen merchant and if you received a product for free, this must also be stated in your review. So, should you give affiliate marketing a try? If you’re looking for a lucrative source of income online and want to try your hand at something that does not require a lot of monetary investment then, YES. There’s not much to lose and the learning curve can be easily surpassed given enough time.